The 8th of March 2019 an article was published in a Dutch Newspaper, Algemeen Dagblad. 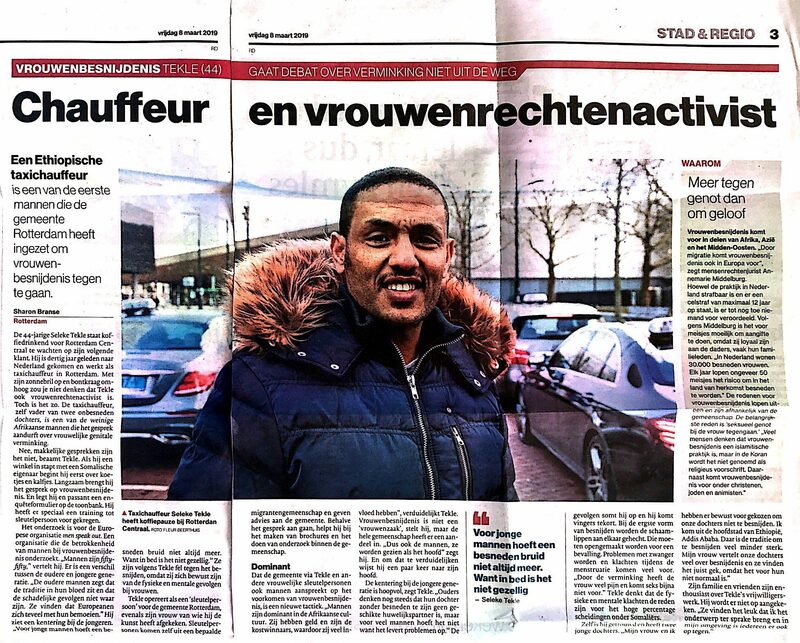 A few days before the publication, I was interviewed by journalist Sharon Branse, about Female Genital Mutilation/Cutting and the role of men in relation to the elimination of the practice in the Netherlands. You can read the article here (in Dutch).